Included with this class are two 5 hour classes on operating the sewing machine. 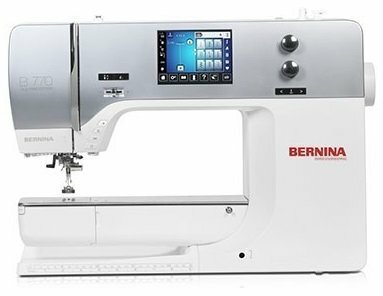 This class will include BERNINA terminology, features and functions, navigating your machine, touch screen and sewing basics, buttons, tools, accessory options, needles, threads, proper threading and use of the needle threader. This class will include basic sewing techniques, such as: seaming, edge finishing, blind hemming and buttonholes. Dual feed. Decorative stitching with functions. Programming the memory. Machine maintenance and much, much more. This class cannot be purchased online. Please contact the store for more information.